Dr. Drubi is an orthodontist in Miami, FL. He specializes in Invisalign, Invisalign teen, braces, clear braces and lingual braces for both children and adults. He received his Bachelor’s degree in Microbiology and Cell Science from the University of Florida in Gainesville, FL. He then went on to receive his dental degree at Nova Southeastern University in Davie, FL, where he graduated at the top of his class. He completed a specialty program in Orthodontics at the Washington Hospital Center and Children’s National Medical Center in Washington, DC. 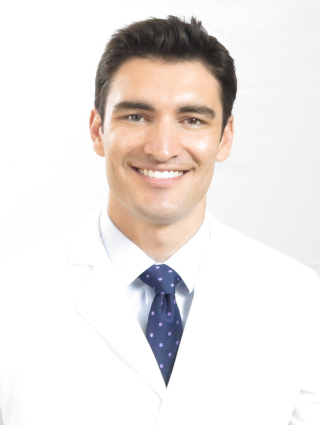 He was the chief orthodontic resident at the Washington Hospital Center and part of the craniofacial team at the Children’s National Medical Center, where he received vast experience in the treatment of Cleft Lip/Cleft palate and other craniofacial abnormalities. He is both an Invisalign Premier certified provider and an Incognito lingual braces certified provider. Dr. Drubi uses the Six Elements of Orofacial Harmony as a diagnostic and treatment philosophy, which allows him to accurately diagnose and treat even the most complex cases to provide harmony between the teeth, gums, muscles, facial soft tissues, airway, temporo-mandibular joints (TMJ), and function. A unique, individualized plan of treatment is created for every patient to satisfy his or her individual needs. Dr. Drubi is continually taking courses to stay up to date with the latest technology and is proud to offer his patients the best and latest services available such as Invisalign, Incognito hidden lingual braces, self ligating braces, TADs, soft tissue laser, and esthetic ceramic braces. Dr. Drubi is a member of the Hispanic Dental Association, the American Dental Association and the American Association of Orthodontists. Dr. Hernandez is an orthodontist in Hialeah, FL and Miami Lakes, FL. She specializes in Invisalign, Invisalign teen, braces, and clear braces for both children and adults. She received her Bachelor’s degree in Biology from Florida International University in Miami, FL. She then went on to receive her dental degree at Meharry Medical College in Nashville, TN. She completed a specialty program in Orthodontics and a Master of Science in Dentistry at Nova Southeastern University in Davie, FL. She is also an Invisalign Premier certified provider. 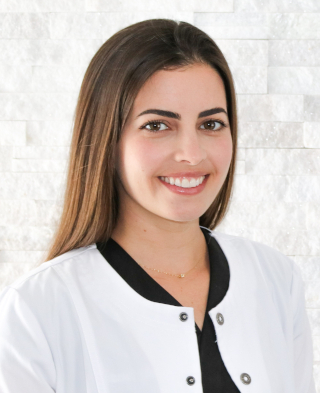 Dr. Hernandez is a member of the Hispanic Dental Association, the American Dental Association, the American Association of Orthodontists and the Omicron Kappa Upsilon National Dental Honor Society. Her interests include yoga, traveling, nature, art and cooking.